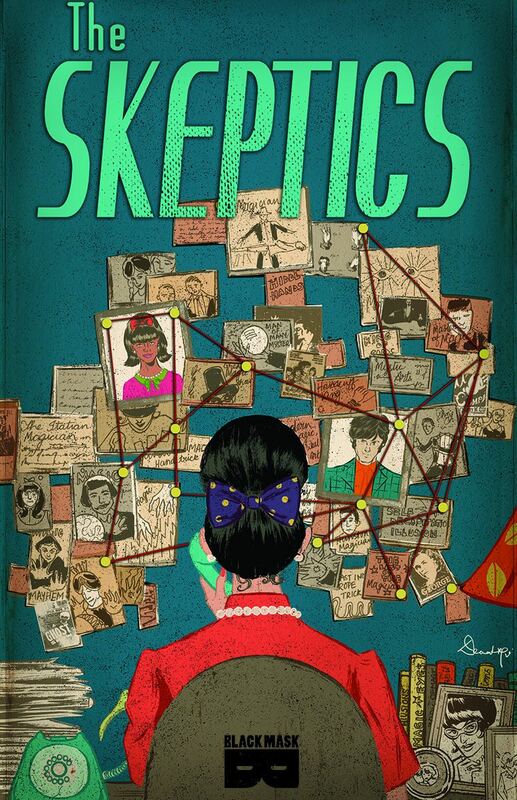 The writer behind The Skeptics discusses her first year in the biz. A few months ago, the Paste Comics team received a tragic email: Tini Howard would no longer be able to write under the auspices of editorial objectivity. 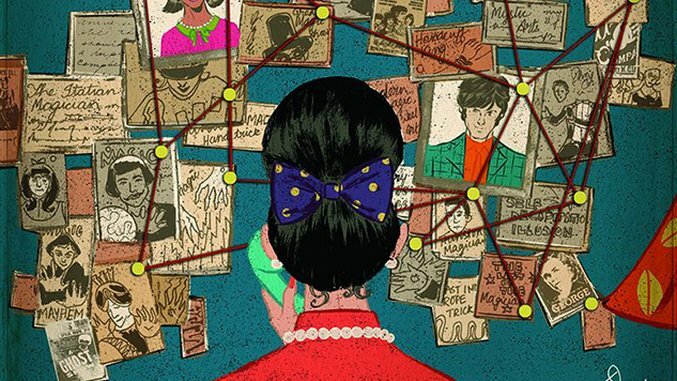 Of course she couldn’t—the weekly Required Reading contributor had not only announced her new series, The Skeptics with artist Devaki Neogi, but was also scripting Mighty Morphin Power Rangers: Pink and had work lined up with Gerard Way’s new imprint at DC Comics, Young Animal. And those were only the projects she could formally announce. She had evolved from a writer about comic books to a writer of comic books. Here’s the first entry in Tini’s diary series. It’s been more than a week since last time, hasn’t it? That’s a good thing to keep in mind if you’re looking to get into comics professionally: script deadlines are the word for God on the lips and hearts of all comic book writers. When I last left off, I was discussing my approach to the 2013 Top Cow Talent Hunt. When I won, it functioned like my first Big Break, and it deserves a certain amount of attention when it comes to how I approach my whole career. People don’t need permission to make comics, and you don’t need to wait until you win a contest. But I’ve never been shy about asking for help. I didn’t know how to make comics—not really—and it seemed like a great way to learn was by making my way into the good graces of people who did this professionally. And a contest? I’m a Slytherin. I like to win. I’d heard about it the way I’d heard about any other opportunity I shot for and, thus far, hadn’t been successful—the Internet. Twitter and Tumblr can be evil distractions and brutal timesinks, but they were also a necessary part of my early comics career. When I wanted to avoid actual writing, I’d spend hours Googling “comic writer submissions” or “comics anthology submissions” and submitting to them, seeing who might accept me. The Top Cow Talent Hunt was particularly appealing to me because it seemed so real; it was an existing character (The Magdalena), an existing company. It would mean a full issue with my name on the cover and an artist assigned to me. I now realize, of course, that this doesn’t make a comic more real, but as a fan looking into the industry, it seemed like the realest of options. I’d read some Top Cow comics growing up in the ‘90s. Here and there, I had jumped in whenever I had some extra money and the going looked good. So I could do this. Here’s what I forgot—the way I am. I dove into Top Cow’s existing library of back issues like I was Indiana Jones. Every terrible TV movie you’ve ever seen where someone is up replacing coffee with meals, looking for hidden meanings in pictures and words, taking pages of notes that amount to nothing—that was me. But in that process, I realized I was looking for something meaningful, and I guess that’s an important lesson when it comes to stories. An awful lot of people develop characters, trying to make the coolest, or the best. I learned that the thing I wanted to do, the reason I specifically wanted to contribute to these larger mythologies, was because I wanted to write what I felt was missing. There were a few helpful suggestions on the contest rules, things like “don’t reinvent parts of our mythology” and “don’t create new characters.” I did both. I don’t necessarily recommend this. On the contrary, I’m usually a rules-follower, but I had a wild idea and I believed in it. I submitted it, and it worked. I was working a shift at my barista job and got in my car one cold night, pulled my phone out with latte-sticky fingers and turned it on, and I had an email. It said I’d won. And that the comic would be out in about a year. Once the excitement wore off, I started pacing, and didn’t stop for most of that year. Do you have any idea how long a year feels when you finally feel validated as a real comic book writer and yet, it doesn’t exist to anyone else yet? You become convinced that the second that thing hits the stands, you’re going to have to make tough choices, like what you’re going to say when you’re asked to fit Batman writing duties into your schedule, and what you’re going to wear to the Eisner Awards. I don’t say these things to mock baby comic writers, I say them because they’re exactly things I felt. During that year I worked hard to find more work, pitching things that were passed on, again and again, and—in true retrospective fashion—making friends along the way. This might seem silly, but this journey is more important than it sounds. When I was having doubts about my book, unsure if it was any good, it was those friends who were working on Batman books who reached out and showed me their own attempts—some gorgeous, some misguided. It was those heroes of mine who gave me high fives, little presents and listened after panels when I was writing a pitch that I believed in, but felt too heavy-handed, too weird. Within my first year writing comics, I only had one book released: 20-something floppy, glossy, beautiful pages that didn’t look like much for a year’s work. But they were mine, and I even got a creator page on the Image Comics website, which felt like a milestone. It sat on a shelf. People who weren’t my friends bought it. People even said bad things about it! I got to sign copies. It didn’t even break the top 300 in sales for that month, but I made it, and, again, it was mine. When I went to conventions and talked to people, they would listen, take my book, give me business cards. A lot of those early business cards, emblazoned with the same logos as the spines of the trade paperbacks on my shelves, went on my fridge with all the pride in myself that my parents took in my A+ test papers and crayon drawings. I took an active interest in my own success. It wasn’t going to happen to me, and I was sure of that now. No one was going to be knocking down my door to write Batman anytime soon, not because I wasn’t any good, but because lots and lots of people were incredibly good. And when I got to meet them, I learned many of them were also nice, professional and way out-leveled me when it came to the whole “writing comics” thing. Lucky for me, I’ve always liked gaming, so leveling up was a good challenge. The next year, I told myself, I was going to do at least as well, if not better.